Find leakage - MrFix finds you a reliable plumber within 3 hours. Find leakage - MrFix finds you a reliable plumber within 3 hours. Find leakage? Ask plumber service MrFix! Ik zoek een loodgieter in Hoofddorp die mijn wasmachineleiding een paar centimeter naar links kan verplaatsen zodat die niet achter maar naast de wasmachine ligt. Ik zoek een loodgieter in Amstelveen om een lekkage te verhelpen: het water komt in de uitlaatpijp (voor rookgas?) van de cv-ketel terecht. Holland likes water but also fights water. The same is true for your home. Water supply in Holland is very good, but at the same time water may cause a lot of problems. In case of leakage of water pipes or blocking of drains you need help and often quite urgently. MrFix has contracted experienced plumbers for you! Don’t take the risk and hire a professional plumber for solving your leakage problem: MrFix will have one at a fair rate. It’s simple: fill out the form above and we will match your find leakage job with the right professional within three hours. Easy, right? MrFix has a plumber available even today, if you wish. Make your “DETAILED DESCRIPTION OF JOB” as precise as possible: please specify the problem or the new items you want to be installed, materials, measures, obstructions or other limitations. For good quality and sustainable plumbing work we can arrange an experienced professional at a fair rate. Use our expert to find and repair leakage, unblock your sink, repair your toilet or install your new boiler. We guarantee a professional who does the job professionally. When leakage is causing damage to your furniture, wooden floor, books, wallpaper, etc. you like to know as soon as possible what causes the problem and most likely you want it to be repaired urgently. MrFix helps you find a fitter or plumber for your urgent job, even during evening hours and at weekends. No problem for MrFix’ certified plumbers! 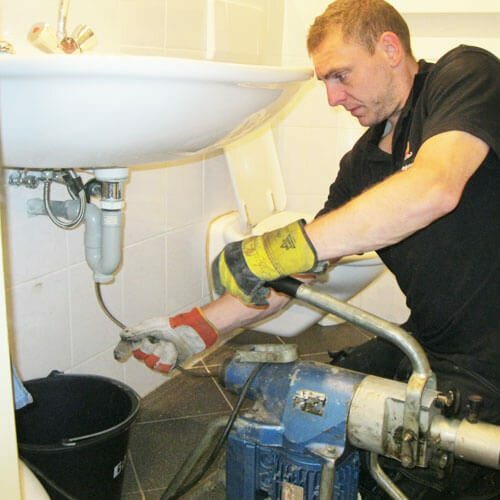 Our skilled plumbers are ready to do every urgent plumbing job in Amsterdam, The Hague and the rest of Central Netherlands with quality and accuracy. When you see moisture spots on walls or ceiling do take immediate action in order to limit damage. The very first thing to do is to close the main water valve. Then start drying as quick as possible. Cover your furniture, wooden floor and bookcases in case of water dripping from ceiling or walls. Then another important tip: make pictures of damages and of your protection measures. You may need them when filing a claim at your insurance company. They will ask for proof. The work of our qualified plumbers and fitters is covered by a triple guarantee: 1) the guarantee by the plumber himself. 2) his liability insurance and 3) MrFix’s leverage over the plumber. So you are in safe hands. We at MrFix can get your home, shop or office repaired or improved by the right expert from our wide range of professional partners. Beside plumbers MrFix can quickly connect you to a skilled Painter, Handyman, Electrician of other Specialist. Need a plumber in your region to find leakage?